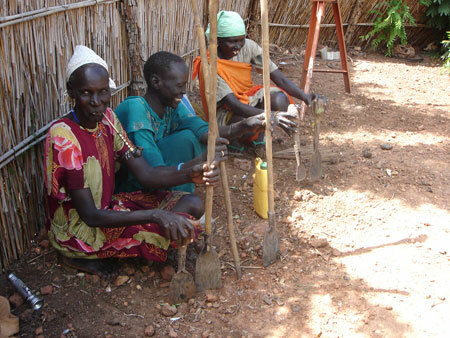 A group of Nuer women at the compound of Care International in Rubkona, employed to clean the compound. Morton, Chris. "Nuer women at Rubkona" Southern Sudan Project (in development). 03 Jan. 2006. Pitt Rivers Museum. <http://southernsudan.prm.ox.ac.uk/details/2007.137.95/>.